The Crawford Fund supports young Australian agricultural students and scientists with a keen interest in contributing to international agricultural development. 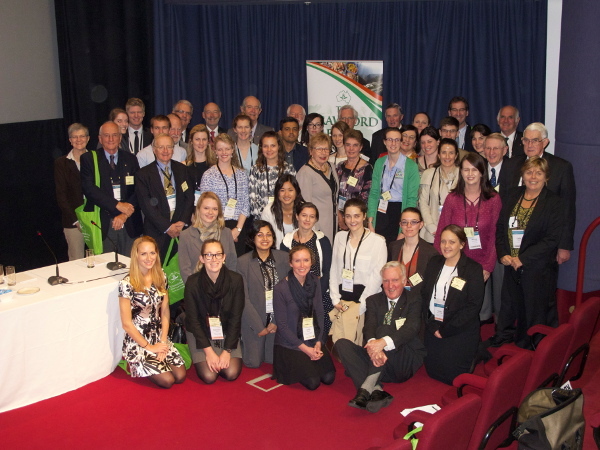 The Conference Scholarships are offered to further encourage young people in their studies and careers in international agricultural research. At this stage, 46 scholars are being sponsored to attend this year’s Annual Conference, ‘The Business of Food Security: Profitability, Sustainability and Risk’. The 2015 scholars will attend the conference and our special Crawford Fund Scholars Day—a full day of activities at the national science centre Questacon. They all provide a report after attending the events (to view last year’s report, click here) and we also have examples of the impact for some scholars in this short video. We would encourage your support for these or other nominated scholars. We are most appreciative of the support we have received so far from the Gardiner Foundation, Elanco, Australian Agricultural and Resource Economics Society (AARES) and Bayer CropScience. You can also donate to this cause through the conference registration process. Information on how you could contribute is here.